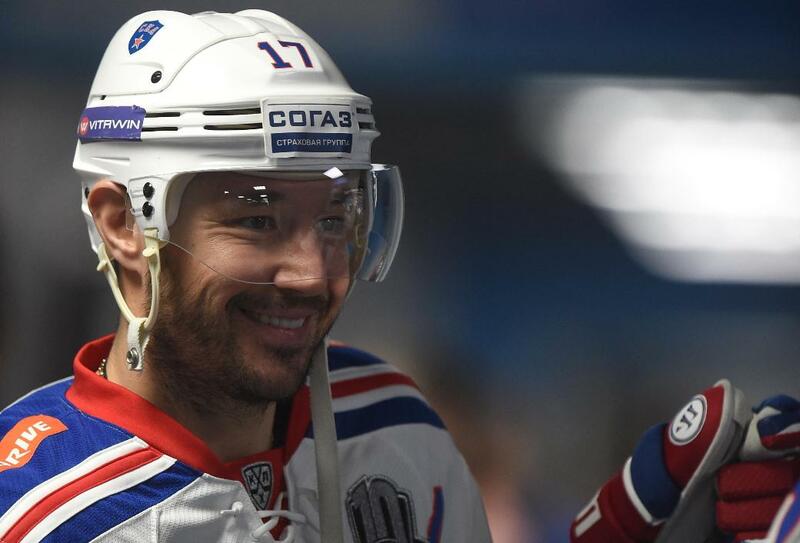 When the reigning champion SKA was eliminated from the playoffs, the club's talismanic captain, Ilya Kovalchuk, announced his that he was heading back to North America to resume his NHL career. 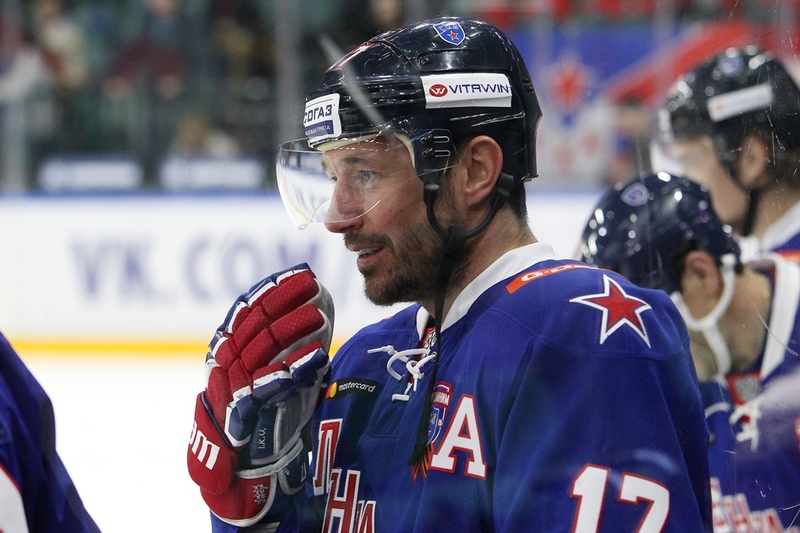 The Olympic hero and two-time Gagarin Cup winner gave an interview to KHL.ru about his future, his past, and his good works off the ice. – Everyone has their own opinion. Moreover, with the coming of YouTube and Instagram a lot of the old boundaries have been erased. Anyone can broadcast whatever they want, and I don't think it is worth arguing with anyone. Actions speak louder than words. It's very easy to lie on the sofa and write unpleasant things, but to raise a bit of money and distribute it to those who need it – that is not always easy, but it's more useful and I think it deserves respect. – When you get to the NHL, will you buy a new car there? – I already have some wheels over there. But this was something I really wanted to do, whether it was to sell a car or just hand over the money. The idea occurred to me even before the Olympics began. And I know a lot of guys who are doing this, at SKA and in the national team, but most of them don't want to talk about it. And I think the opposite; I think that we should, in fact, talk about it, and maybe even shout! Because we only did one minor act, leaving aside, for the moment, that we take part in the annual “From a Pure Heart” campaign, which is on a completely different scale. So here we have a couple of guys trading a car, and you should see the volume of letters I received – so many requests for help, and they deserve attention. We need to help as many children as we can. They're not to blame for the bad situations they're in, and we should make it so that children get the chance to have a long and bright future. – You waved goodbye to $100m in New Jersey, and General Manager Lou Lamorello exclaimed, “Are you crazy? !” After five years in Russia, do you have an answer? – There was no way I was going to earn a hundred million dollars, and I have no regrets. I'm happy doing what I love. Yes, I get paid a decent wage, but for me, money has never taken first place. I treat it very calmly. Those people who know me, know this. And those who don't know me, but nonetheless give their opinions, well, they're just reading their tea leaves. Money for me has never been and never will be a priority. That's how I was raised by my father, by my parents. And when I terminated my contract with Devils, I did not even think for a minute about how much I might earn in Russia and what might happen. In any case, different situations arise. For example, I was suspended from playing for SKA, but then I returned, won another Gagarin Cup, won the Olympic games... Many people bounce back from a dark episode. It's like a family: sometimes you just argue with your wife, and sometimes it spirals into a divorce. The same goes for relations within a sports team. That's how I was raised by my father, by my parents. And when I terminated the contract with Devils, I did not even think for a minute about how much I might earn in Russia and what might happen. Money for me has never been a priority. That's how I was raised by my father, by my parents. And when I terminated my contract with Devils, I did not even think for a minute about how much I might earn in Russia. – One of the reasons you refused a deal with New Jersey was the situation with the NHL players' union. Has that changed now? – Nothing has changed there, but now I have matured, I already have other interests. I want to try and win the Stanley Cup. I don't have too many years left to play hockey, in peak condition and at full fitness. – Is it wise to go to the World Championships without a contract? – I've played in many World Championships without a contract: back in 2010, before that. If you go onto the ice worried about getting injured, then you're sure to get injured. You have to put all such thoughts to the back of your mind. In any case, we're insured through the Russian Hockey Federation, so I've no reason to be worried about that. It is more important that the coaching staff and the management of the national team decide who to take, and who not to take. – You said recently in an interview that it's not a good situation in the League with CSKA and SKA being so dominant, although this is mitigated by the benefits to the national team at the Olympics. – I said it's probably not good, and in the regular season it turned out that those two clubs had far more points than all the other teams. With the arrival of the new leadership and management, SKA has changed completely. We have a vertical structure that's sets a good example to any team in the KHL. We have fans who come to every match, there is a stadium with all the infrastructure, a new base, and a youth team. We have talented juniors, and we're attracting a great many children from other cities. They want to get into the SKA academy. Previously, you could only say that about CSKA or Traktor Chelyabinsk, but now we have another very good organization dedicated to nurturing talented young hockey players. The talent is now spread across the League. Yes, we've had some resounding victories this year, but even during that spell where we won 20 games in a row, there were still a lot of overtimes, shootouts, and games settled by just a one-goal margin. There were some one-sided wins, but you get those in every league. Dinamo Riga finished at the bottom of the Conference standings, but they've always given us a very tough match in my time here, and they've even beaten us in Petersburg. We had a good team at SKA. A strong spirit, a friendly group, a great atmosphere, and we had a fantastic time together. It's just a shame that this year the Gagarin Cup was a little beyond us. I think the League is improving. We have some great young guys coming through: look at Kaprizov, Shalunov, Shumakov, Gusev... A huge amount of guys that no one would have known about before, had there been no KHL, with that organization. Remember the Superleague. I left when I was 18, and it was in a state of ruin, just four places in all Moscow where you could play, training a seven in the morning... That's not serious. Now we've made huge progress... and in only ten years. I must say thank you to those people who did the work when creating the League. God willing, it will continue to grow. Only where there is strong and healthy competition can you raise talented players, and for that you need star-studded teams. Look at football: in Spain you have Barcelona and Real Madrid, there's Bayern in Germany, Juventus in Italy. The same with hockey. Merely spending a lot of money is not enough to bring you success. There are many examples: Ak Bars in the 2005 lockout, SKA for a while, Magnitogorsk, CSKA... Money doesn't solve everything. It is important to create the right atmosphere in the team, and build a strong vertical. – What match do you consider was your best in the KHL? – Probably, any of the games in the playoffs. For example, Game 6 in St. Petersburg, in 2015, when Thoresen scored in overtime. 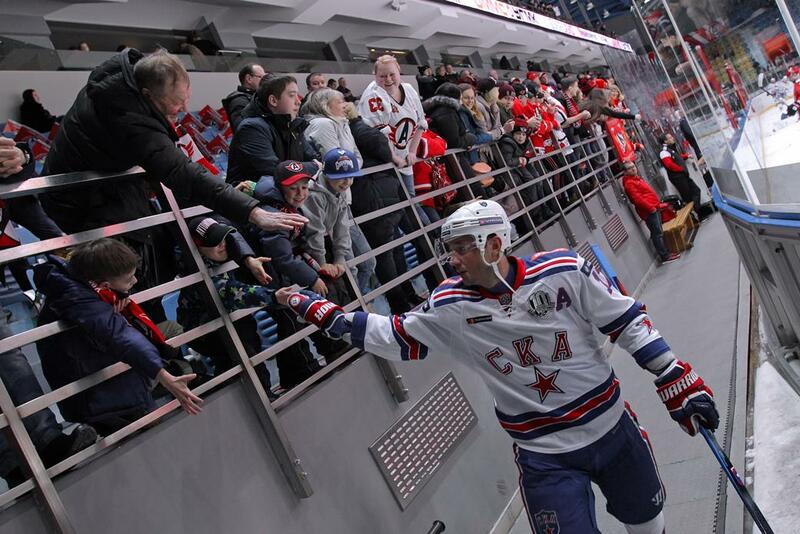 We fought back to win the series against CSKA after trailing 0-3. After that, we were sure that it was our year. In general, the games in the regular season do not linger long in the memory. I remember we scored six against Ufa, and that amazing game against the Kazan guys, when we were losing 1-5, fought back and drew level, and then lost in the shootout. 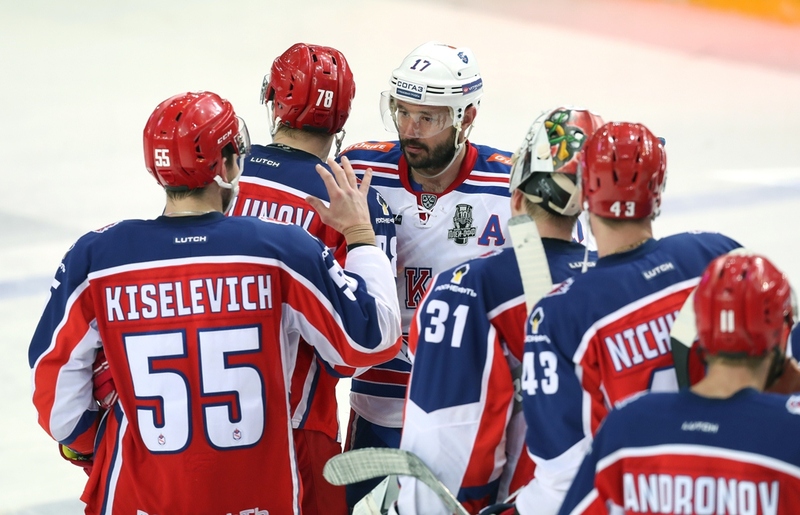 – You handed your MVP of the playoffs award in 2015 to Evgeny Dadonov. – No, I just told him that he deserved it; you can't hand over the title when they have announced you as the winner. – It's hard to pick one out. A lot of goals are similar in nature. – What about the Québec game? – That was a very fortunate game. It just turned out the way it did. It was a historical moment. We hadn't won the gold for 15 years. And when we won, it was decided in Russia to create the KHL. That match against the Canadians was a very important one in the history of hockey in our country. 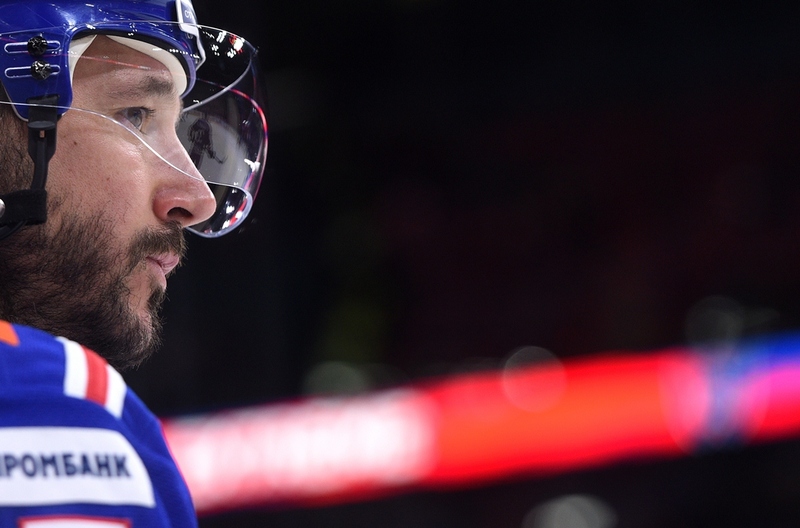 – Were you helped by the long break in the KHL season to prepare for the Olympics? – We had a full roster and were able to train together as a team. Physically, we were very well prepared. We never had this before any other Olympic Games, because usually we have the guys coming over from the NHL and they have to play within a day or two. Yes, with the other teams it's often the same, but we felt better before the Pyongyang games than any of the others. – Andrei Mironov arrived from Colorado and said that there was just the one masseur, while in Dynamo Moscow were three. Are there any factors by which SKA is better than an NHL club? – It's hard to compare. The set-up with the staff in the NHL is a little different, and on certain things – like on massage – they pay less attention. They just don't think it's so important. In Russia you get massaged for an hour, and there was nothing like that over there. If you had a massage in the NHL, it was only for 10-15 minutes. The physics just work to different methods in the NHL. – How is the KHL press different from the NHL press? There is famous video in which a reporter follows you around Yaroslavl, filming you, and you always shunned him. Why? – I don't even want to talk about him. It's ridiculous. Just a guys who follows you, jumps out from behind a corner, filming everything. I'm not mocking him, but I have to ask: why do I need this? I think the League is improving. We have some great young guys coming through. Guys that no one would have known about before, had there been no KHL. It is understood that, in America, there is a set time after the match when you go to the locker room for five to seven minutes, you talk to reporters – you have to do it – and then you're free to go. What if I should walk out of the room and there is someone running behind me with a camera? It's ridiculous. – Who is the liveliest character in SKA's locker room? – We all have a lot of fun. Of the foreigners, it would be Patrick Thoresen. As for the Russians, most of them like to laugh and joke, but I'd pick out Andrei Zubarev. – Would SKA be a force in the NHL? Would they be good enough to compete in the playoffs? – It's hard to say. How could I possibly know? But we do have a very good team. People like to note that SKA supplied 15 players for the national team, but what does that prove. It's highly subjective. Each coach has people in whom he puts his faith, but if a different coach took charge, then he would have changed half the team. In the KHL more than half the guys once played for their national teams at one time or another. We had a good team at SKA. A strong spirit, a friendly group, and our wives all got on well with one another. There was a great atmosphere in the team, and we had a fantastic time together. It's just a shame that this year the Gagarin Cup was a little beyond us. – The ruble is falling in value, so will a lot of players be leaving the KHL? – Who's leaving? What's this all about? We live in Russia. So what difference does the exchange rate with the dollar make? – The Euro has already surpassed the 80-ruble mark, and we hear that some foreign players are not happy. – Maybe, but we have no control over politics. All a player can do is train hard, go out and score more goals and then he will get more euros. – Alexei Kovalev said that he would like to play with his two sons in a line. Do you have such a dream? – My youngest son plays hockey, but he's only eight, so I don't think we're going to be line-mates. God willing, I'll watch him play from the sidelines one day. And my eldest plays football, and we have played in the same team, but only kicking the ball about in the yard. 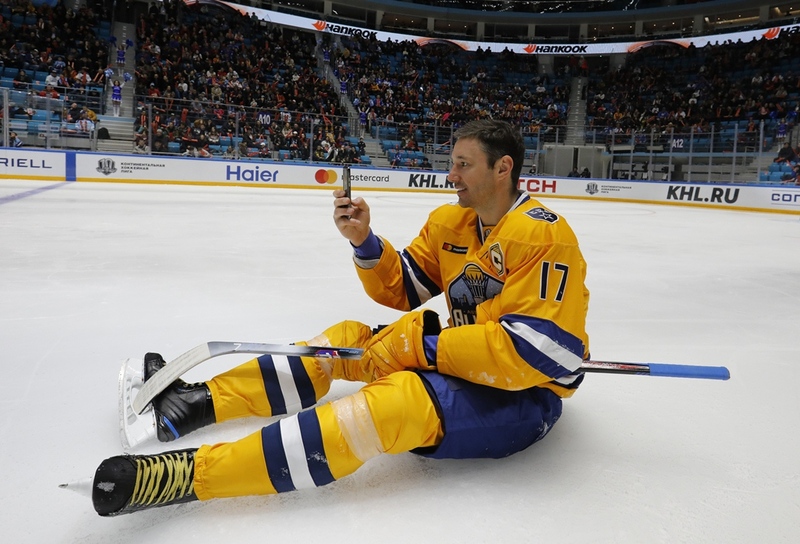 – Can you see yourself still playing hockey at 45, like Jaromir Jagr? – Of course not, but I'll play until I feel I can no longer be myself anymore. There has to be an average level of performance which you can still keep producing. That is very important for me.